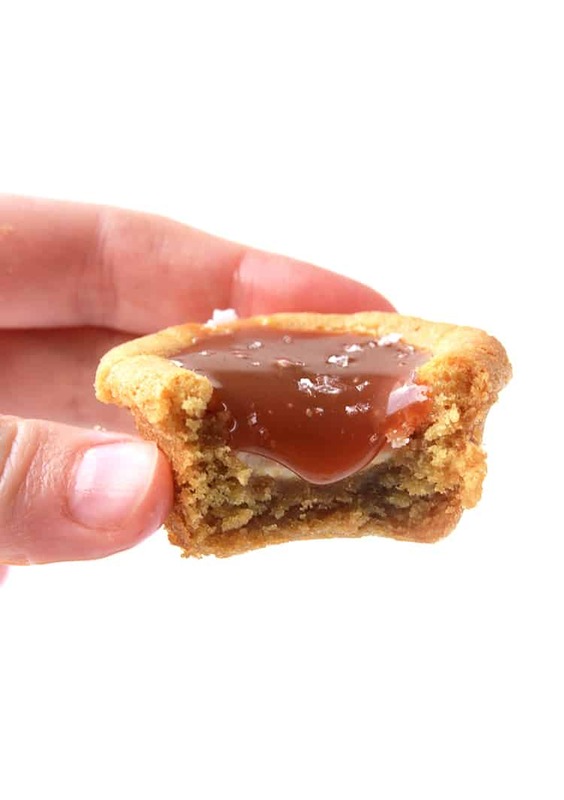 Buttery cookie cups filled with white chocolate and homemade salted caramel sauce. Made in a mini muffin pan, these Caramel White Chocolate Cookie Cups can easily feed a crowd. 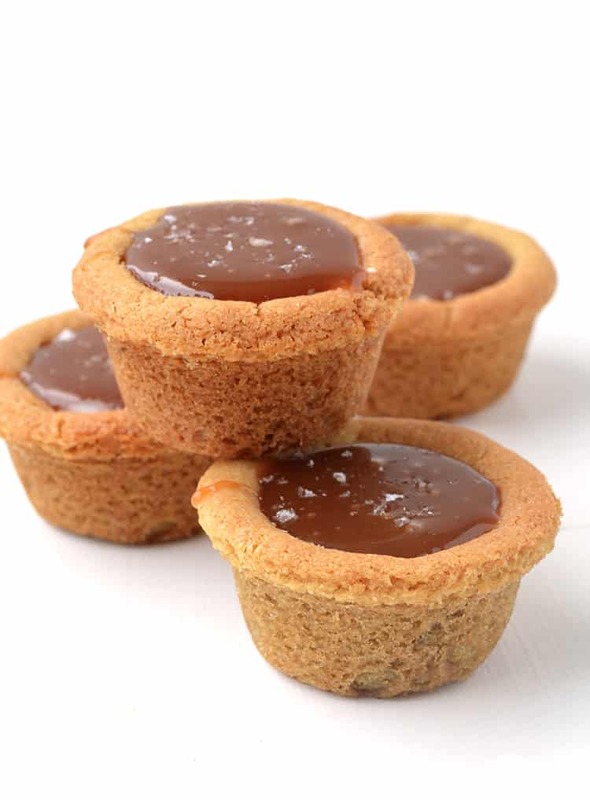 Buttery homemade cookie cups filled with white chocolate and salted caramel sauce and finished with flecks of sea salt. 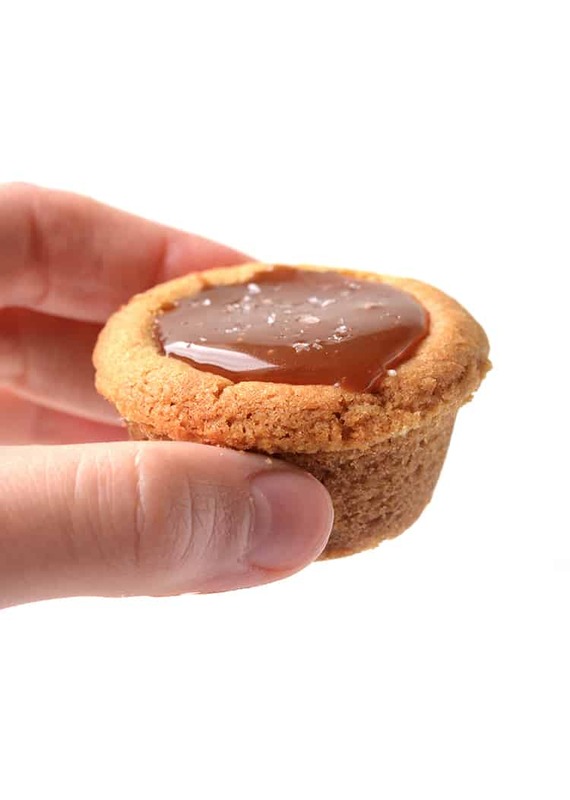 These cookie cups are d-i-v-i-n-e. 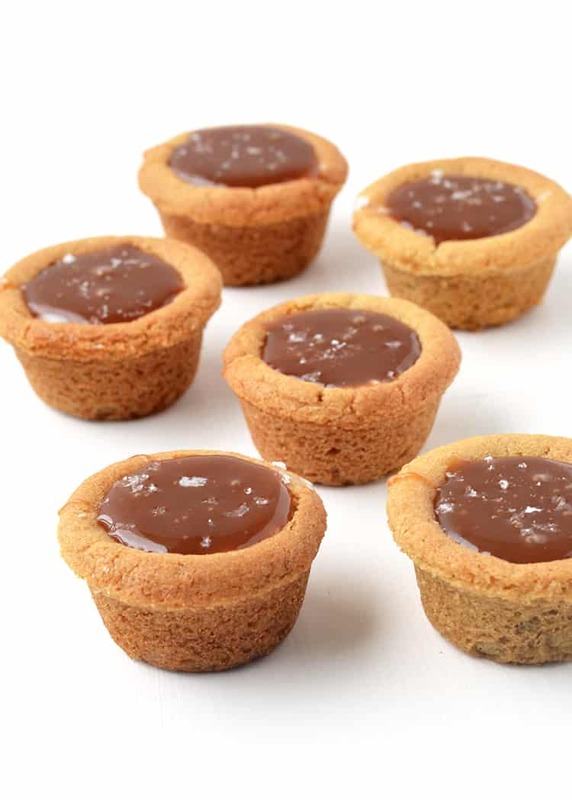 If you love salted caramel, you’ll adore these cookie cups! I first crafted this recipe three and half years ago. I remember it was when salted caramel sauce was all the rage. And I thought, hey, if you put that heavenly sauce in a buttery cookie cup, what would happen? Well I tried it and it was just as I suspected – ah-mazing! Add a little white chocolate for extra sweetness (and to prevent the cookie cup from going soggy) and you have the best homemade dessert. I know cookie cups are a little out of style but I still love them. And I think if Dominique Ansel still has cookie cups on his menu, I can still have them on mine. Whether it’s these golden cookies filled to the brim with caramel sauce, or chocolate cookies stuffed with cookie dough, I will always have a soft spot for cookies in ANY form. I used homemade salted caramel sauce for these beauties (you can find the recipe HERE), but you can use the storebought kind if you like. Either way, you are sure to fall in love with these cookie caramel pots. If you get a chance to make them, make sure you show me on Instagram! 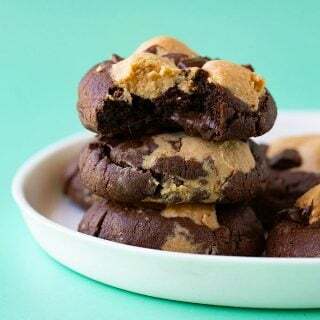 Tag #sweetestmenu so I can see your cookie cup creations. Did you make this recipe? Don’t forget to rate the recipe and leave a comment below. Hungry for more? Join me on Instagram, Facebook, Pinterest and Twitter for more amazing recipe ideas. 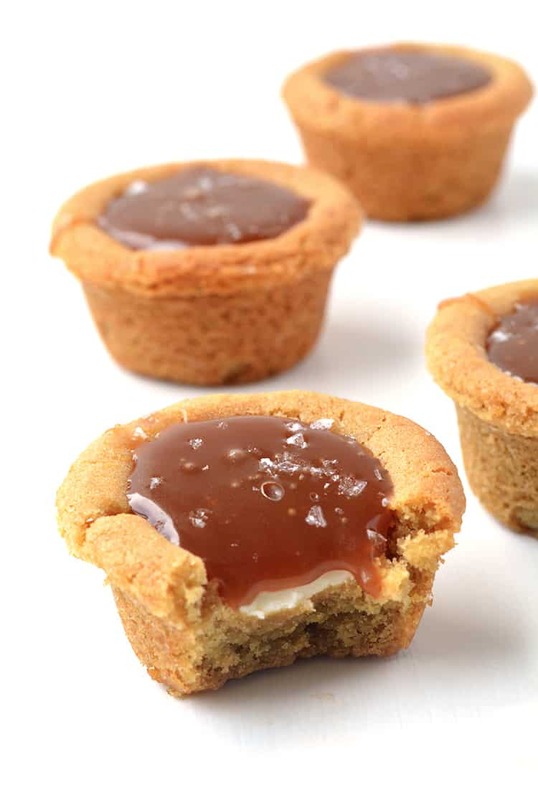 Buttery cookie cups stuffed with white chocolate and caramel sauce. In a large mixing bowl, add the butter and sugars and beat with an electric beater until combined. Add the vanilla and the egg and beat until mixture is creamy and smooth. Sift in the flour and baking soda and stir using a wooden spoon or spatula. Cover with plastic wrap and chill dough for 30 minutes. Preheat the oven to 180 degrees (360 F).Lightly grease a mini muffin tin with a little butter or a quick spray of cooking oil and set aside. Using your hands, roll small balls of the dough and place each one into the mini muffin tin. 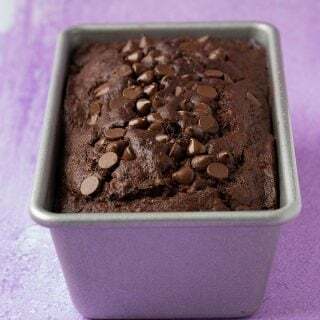 Continue until you have filled 20 mini muffin holes – don’t be tempted to make these any bigger as they will overflow and it will be difficult to remove them from the muffin pan. Gently press down on the cookie dough with your fingers so the dough fills the cavity and has a flat top. Then grab a rolling pin lightly dusted with flour and press down and twist on top of the dough to create a hole in the middle of each cookie. Place in the oven for approximately 10 minutes or until cookies turn golden brown. Remove from the oven. At this point, the cookie will have puffed up quite a bit, so grab your rolling pin again and very gently reinforce the hole in the middle of each cookie. Set aside to cool for 10 minutes and then gently remove from the tray and place onto a cooling wire rack. It’s ok if the cookies appear really soft, especially in the middle, as they will firm up when they cool. Once the cookies have cooled, melt your white chocolate in the microwave, stirring every 20 seconds, until smooth. Fill each cookie cup up halfway with white chocolate. Leave for a few minutes for the white chocolate to set slightly. 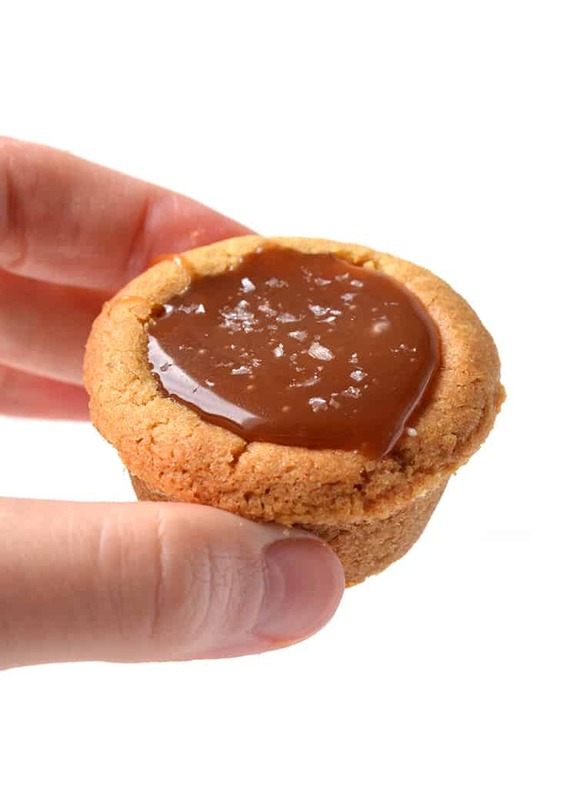 Add caramel sauce to each cookie cup and then sprinkle with salt. 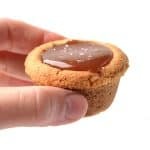 These cookie cups are best enjoyed straight away but will keep for 1-2 days in an airtight container. Can you make these and freeze for later? Hi Melanie, I would suggest making the cookie dough ahead of time and freezing it and then baking them when you’re ready to eat them. You’ll just need to let the cookie dough thaw slightly before baking. Enjoy! These are adorable! I can’t wait to try them. I was just wondering if you could possibly clarify the type of caramel sauce that should be used here? Would dulce de leche work or would it be too thick? Thank you for your quick response! I’m so pleased that dulce de leche would work. I’ll be trying these this weekend. I love your whole blog, by the way! 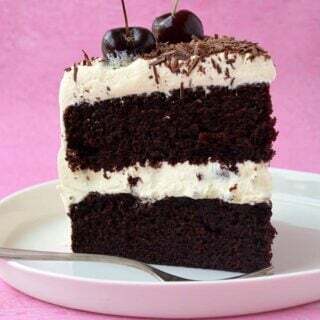 I really love being able to try all the create American-style recipes using ingredients I can find in Australian supermarkets and in familiar measurements. Thank you!